Kermit Comes Home to D.C. The original Kermit the Frog now resides in the Smithsonian's National Museum of American History. 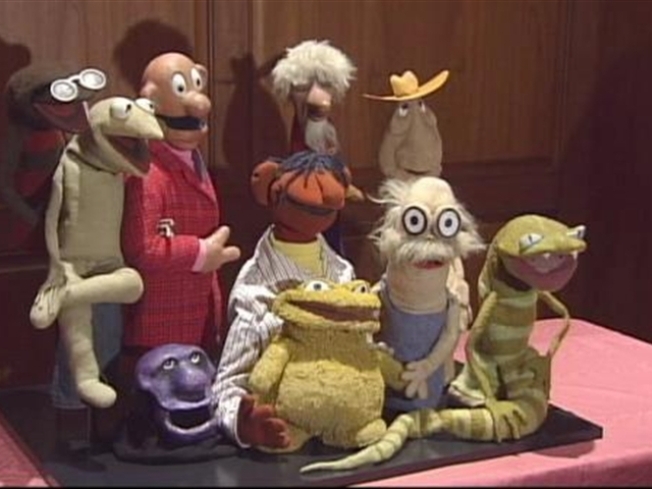 Kermit and nine other characters created by Jim Henson for the show "Sam and Friends," which was produced at WRC, were donated to the museum's permanent collection by Henson's widow and creative partner Jane Henson. Many of the puppets eventually evolved into the Muppets. Jim Henson created "Sam and Friends" while a student at the University of Maryland in the 1950s. "We grew up together," said "Today" show weatherman Willard Scott, who worked at WRC when "Sam and Friends" was produced. "We were all 18, 19, 20 years old at Channel 4, working at the NBC station, and we would double date, triple date, quadruple date. Every once in a while Jane and Jim slipped away and they single dated. I don't know what went on behind that curtain, but everybody smiled when the show was over." The museum already has a familiar Kermit the Frog puppet made famous on "Sesame Street" and "The Muppet Show." The original Kermit looked more like a lizard. He was made with ping pong ball eyes and green felt from an old coat thrown out by Henson's mother. Other Henson creations donated to the museum include the precursors to Cookie Monster and Oscar the Grouch, as well as Sam, who would lip-sync to popular music on his show.